Old map by DE LETH - Carte de L'Egypte de la Nubie de L'Abissinie. . . 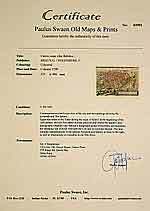 Title: Carte de L'Egypte de la Nubie de L'Abissinie. . . Size: 18.8 x 22.0 inches. Prepared by G.de l'Isle. Uncommon issue by Hendrik de Leth. 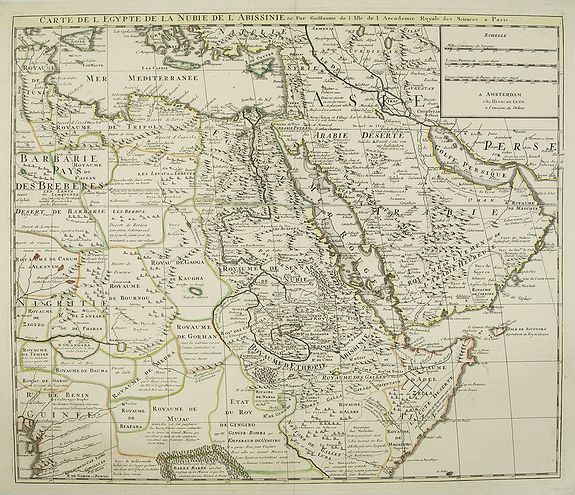 Very detailed map of northeastern Africa, the Red Sea and the Arabian peninsula shows the political divisions and kingdoms, roads, topography, settlements, encampments and much more. The Nile originates in the mountains near the L. de Dambee.